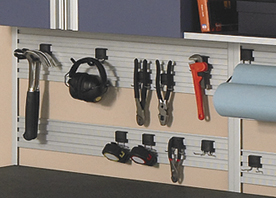 Until now, heavy-duty track organization systems were meant to stay in the garage. With Omni Track, Häfele has created an organizational solution that is flexible enough to be used in craft rooms and laundry rooms. We offer a string of versatile track systems with many types of accessories. From the Craft Room to the Garage we can provide many useful hooks and bins to store your needed equipment. 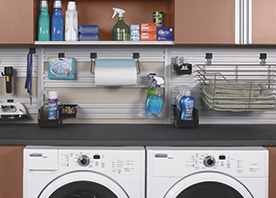 We offer a variety of storage and organization solutions for your Laundry area from hooks to holders to mats and waste bins. 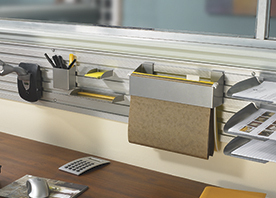 Storage and organization in your office brings value and efficiency to your work space. 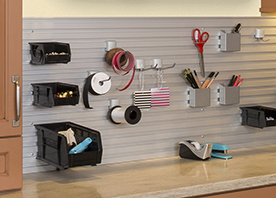 Craft Room organization is made easy with Omni Track® System. 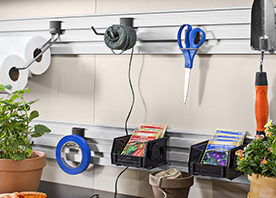 A variety of hooks and holders are available to meet most any need to hold tools and supplies. 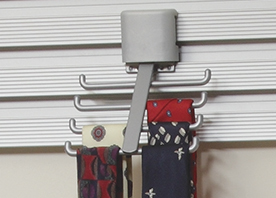 We offer a wide variety of hooks, trays and valet storage solutions that will enhance the organization of your closet.